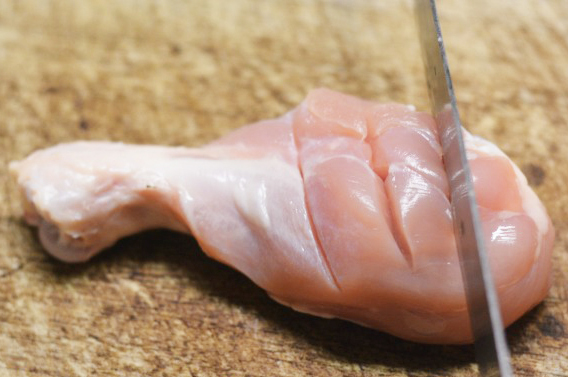 Remove skin from drumsticks, wash with water, then dry thoroughly with paper towels. Score around the meat with little cuts so seasonings penetrate inside. 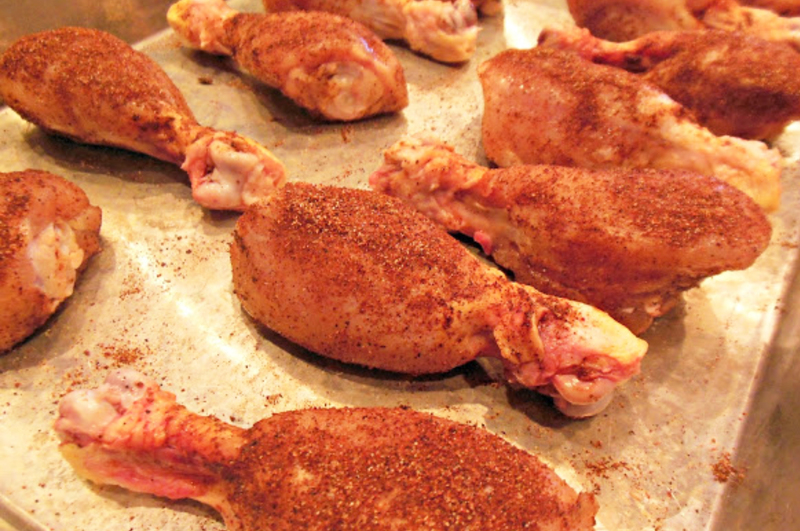 Brush olive oil on drumsticks, then season each to taste with salt, garlic seasoning, pepper and/or chipotle chili powder, smoked paprika and oregano. To avoid too much sodium, I recommend just a small pinch of salt and generous amounts of other seasonings. Press in seasonings while still keeping an even coating. Marinate in fridge for at least 1/2 hour to overnight. Meanwhile, preheat oven to 350 degrees. 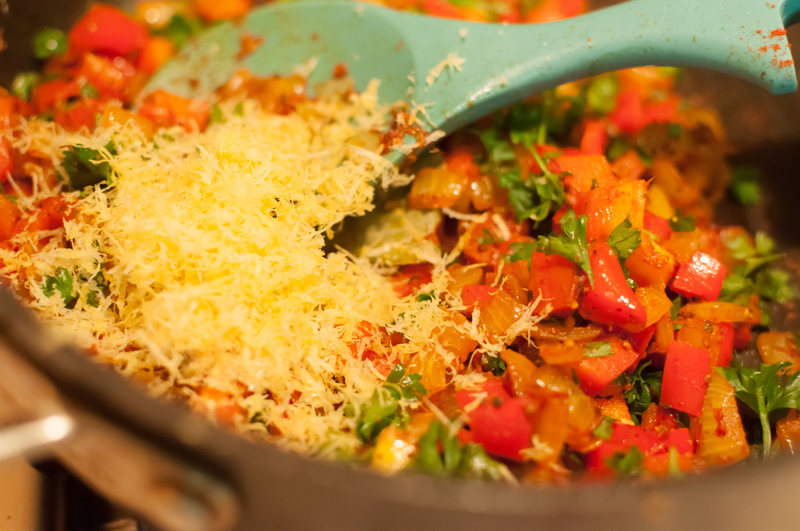 Also, chop onions, red bell pepper and parsley, and grate/mince garlic. Heat olive oil in a large saute pan on medium-high heat. 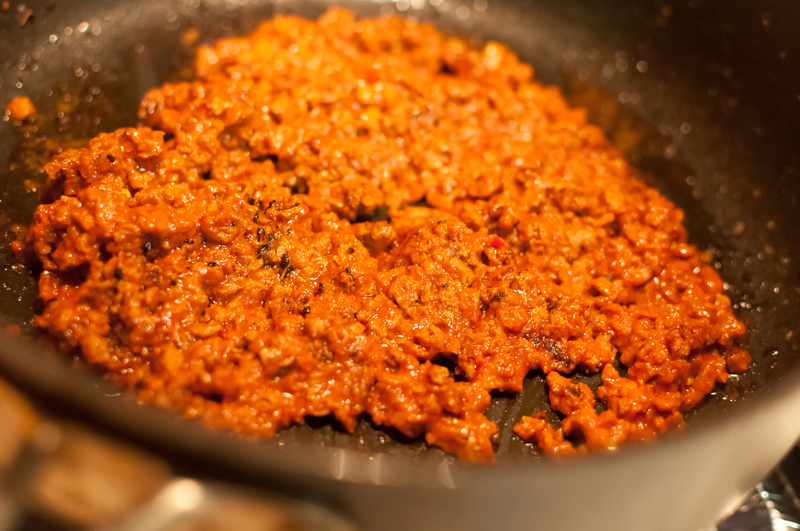 Cook sausage or chorizo until browned and slightly crispy on the edges, 7-10 minutes. Set aside. Take chicken out of fridge. Add more olive oil to the pan if needed and turn heat on high. 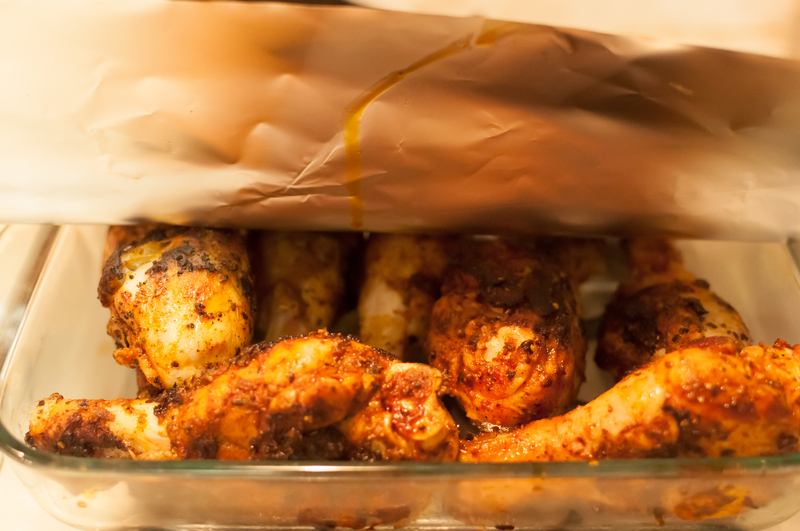 Brown all sides of the chicken to get a light crust and set aside in an oven-safe baking dish, covered in foil (Don’t cook all the way through, you’ll be finishing in the oven). Remember not to overcrowd the pan, or they won’t brown as fast. Should take about 5 minutes for each batch. 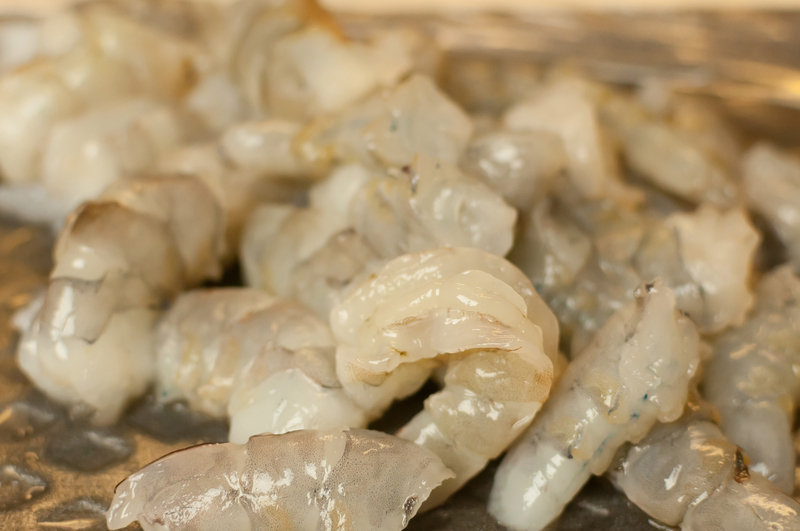 Season the shrimp with a bit of salt if desired, but there should be some seasoning left in the pan from chicken and sausage/chorizo to flavor shrimp already. Turn heat back down to medium-high. 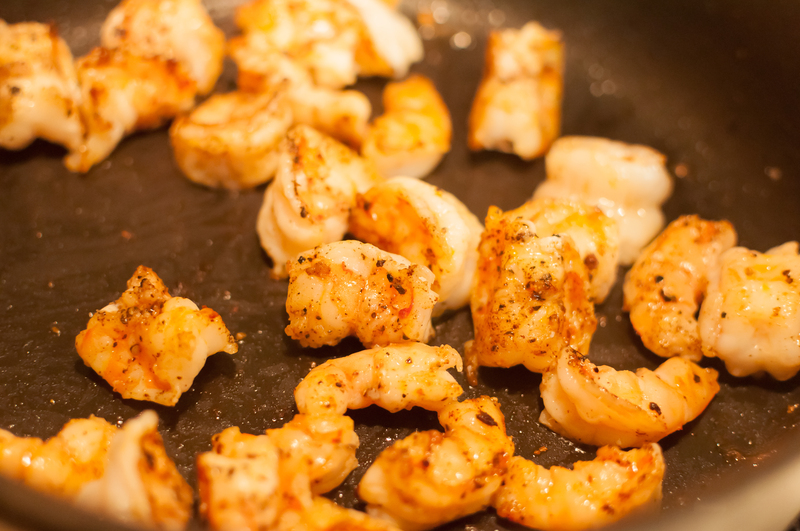 Add more olive oil to the pan if needed and cook shrimp until just pink, opaque and butterflied, about 1 minute per side. Set aside. Add more olive oil to the pan if needed. Saute onions and garlic, until it starts to soften and get golden brown. 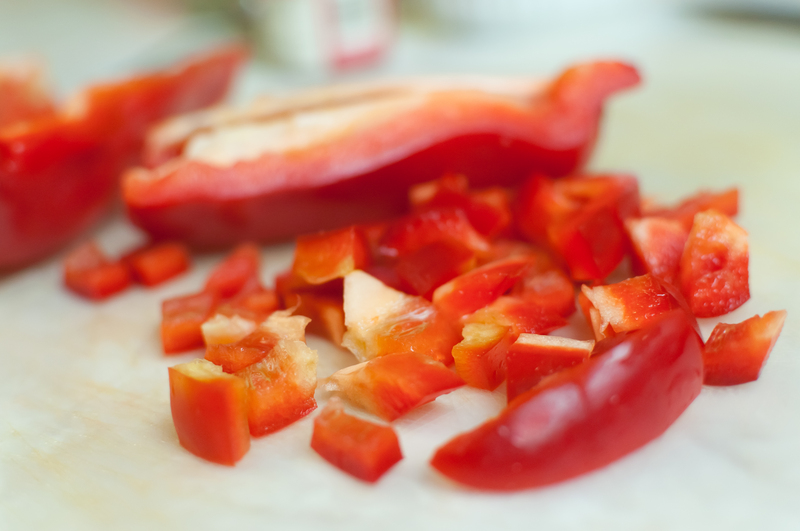 Add in bell pepper until softened and slightly browned. Add in tomato paste, parsley, lemon zest, bay leaf, turmeric and saffron. 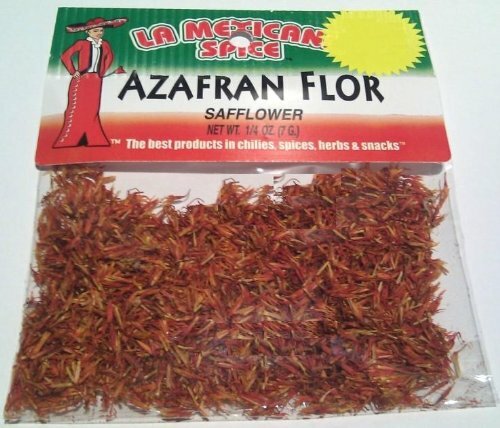 Season with garlic seasoning, pepper or chili powder, smoked paprika and oregano to taste. 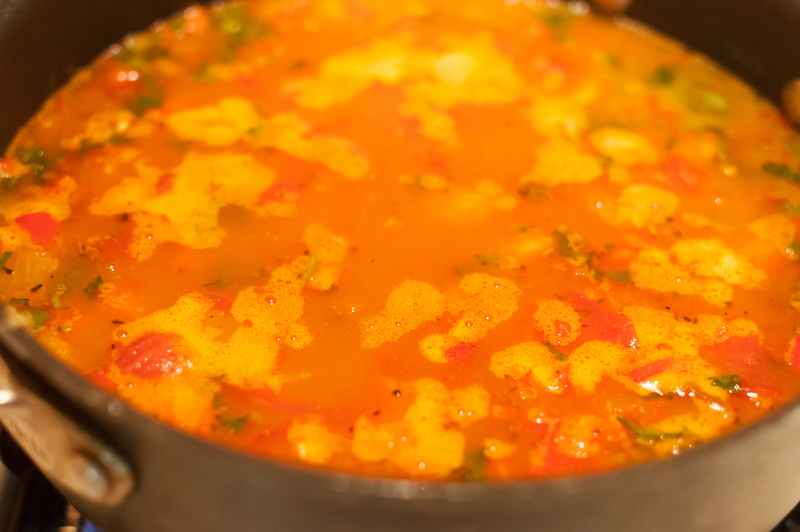 Pour in rice, chicken stock/broth and diced tomatoes with juice. Pat down, bring to a boil, then reduce to a simmer and cover. Cook without stirring, undisturbed, according to rice instructions, about 30-40 minutes. 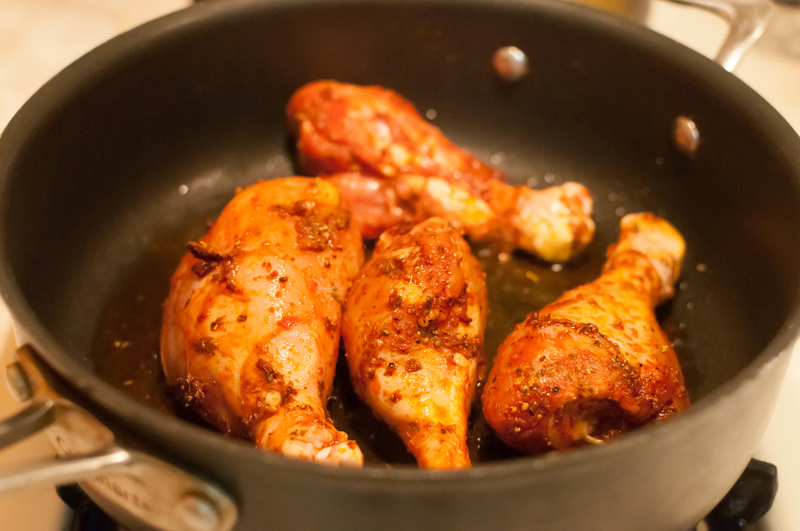 While rice is cooking, bake chicken for 35-45 minutes (15-20 minutes, for chicken breast). Temperature should be 165-170 degrees F when cooked through. Let it sit for a bit after it’s done baking. If rice needs to cook more, just add more stock/broth if needed. When rice is just about done cooking, add in the shrimp, sausage or chorizo, green peas and any drippings/juice from the chicken. Mix together and season as needed. To get a traditional paella crust on the bottom, pat the rice down and turn heat to high for a few minutes. For a beautiful presentation, tuck the chicken on top of the rice in the pan itself and serve family style. Garnish with chopped parsley and some smoked paprika. Enjoy!